Revolutionary is one word to describe the electric dirt bike produced by Swedish outfit, Cake. The trail bike is more than just a vehicle for exploration. Stefan Ytterborn is on a mission to create a motorcycle that is in a league all its own. Stefan Ytterborn wasn’t always involved in the motorcycle industry. In fact, his journey began with his roots in design, architectural creativity and brand marketing. Stefan found his footing and grew in experience with huge name brands such as Ikea, Nokia and Erikkson. Names that are synonymous with innovation. It was Stefan who initiated the exporting of the minimalistic designs created by Ikea to the world during the 1990’s and is partially responsible for the explosion of Ikea onto the international market. 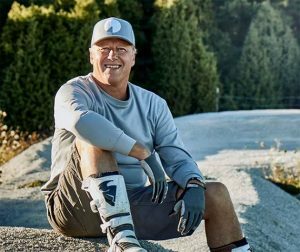 A deep interest in, and fascination with, snowboarding and skiing led to his first venture as an entrepreneur and paved the way for the creation of Cake. The electric dirt bike is not a design or creation that was born overnight. Two years of failures, trials and errors peppered with successes have evolved the product to what it is today. Ytterborn has never been one for following the pack and Cake’s electric dirt bike is no different. While he was aware of two specific trains of thought electric dirt bikes followed, he also knew that it wasn’t what was in his vision. That is not to say that the other manufacturers have it all wrong. It is just a reiteration of his own style and the need to create something that has never been seen before. Ytterborn doesn’t take anything away from the likes of the Freeride or Alta by KTM. He acknowledges that they played a vital part in the industry, however, he finds his motivating force from those who have tinkered around in their garages and created hybrids from a variety of parts from both motorcycles and bicycles. These are the people he feels are responsible for innovation and creative design. Where Ytterborn differs somewhat from those who are in the motorcycle industry is in the fact that his interest and ideas stem from a love for sports that make use of gravity, and his inclination towards design excellence. He does not allow himself to be restricted to the norms of the motorcycle industry. Part of Stefan’s exploration of the industry and research into the design was using the very electric dirt bikes he was trying not to create. It was through riding each one that he came to conclusions on what worked well and what didn’t. He came to the realization that to provide an optimised all-terrain experience, Cake would have to go back to the drawing board and start from the beginning. The Kalk is designed and built to take you places you have only dreamed of. The bike is easy to ride and requires no gear changes. There is only one gear. The clutch is a thing of the past. The lightweight structure allows for easy manoeuvrability and exploration of terrain that would otherwise go untouched. The creation is one that gives you the confidence to tackle the most rugged of roads or the densest of bushels.